Whether you’ve got pets running around your home, kids running around your home, chairs scraping or heavy pans dropping, you’ve got a perfect storm for creating dings, dents and scratches on your floor. 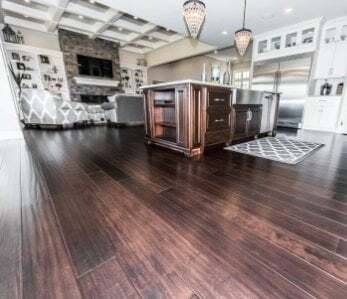 If you have a large disposable income, you may not mind paying a professional floor refinisher to fix those scratches for you. But, if you’re like most people who don’t have that kind of money, you’ll want to fix those scratches yourself. Well, for those little, tiny minor scratches in your wood floor, you can actually try and color match one of your kids crayons or even a sharpie pen. No really, you can. If you don’t have anything in your house that will do the trick, head to your local hardware store and pick up a Minwax Wax stick or Stain Markers which will hide a tiny scratch. Don’t be afraid to be creative and mix a couple of colors together to get just the right color match. 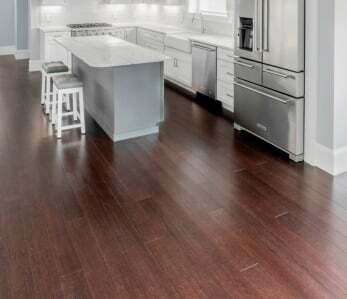 If your sheet vinyl floors become scratches or scraped, the best thing to do is either fuse the surface or patch in some new matching material. 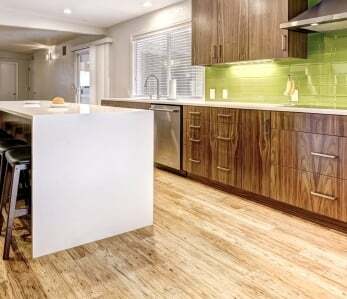 If the cut or scratch is on the smaller side, it can be permanently fused with liquid seam sealer which is a clear compound that is sold wherever vinyl flooring is sold. Before applying the sealer, clean the area with a soft cloth that has been dipped in lacquer thinner. Once the area is clean, squeeze a thin bead of sealer into the crack or scratch, and after it has dried the scratch will be virtually gone. 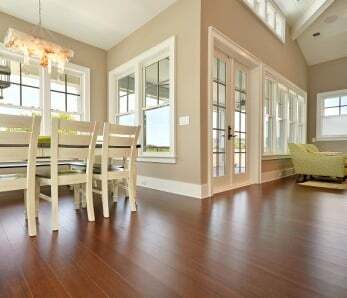 Should you have a significant tear or burn in your floor, you’ll want to cut out the damaged area and replace it with a patch. 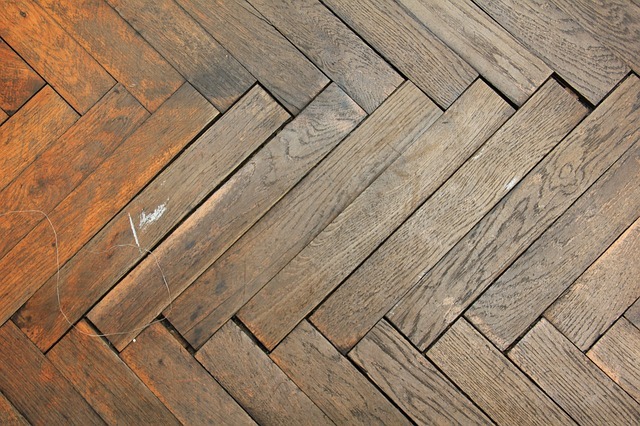 You’ll need an extra piece of your flooring for this (often installers will leave some scraps for this very reason). Often times you think you have a scratch or scrape in your porcelain tile, but if you give it a good cleaning, you realize the scratch or scrape was really a scuff mark that came right up. 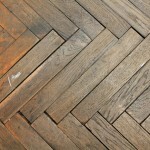 So, first thing, give your floors a good cleaning to see if a fix is even needed. To clean you can use a bucket of warm water mixed with ¼ cup of mild dishwashing soap. Soak a soft sponge in the cleaning solution and wash the tiles. If, after washing, you find that your tile is truly scratched, simply use a little sandpaper and car wax to do the trick. Sand the scratch until it is nice and smooth. Use a soft dry cloth to clean away the leftover grit, and then apply the car wax to fill in the scratch. Clean any excess wax with a clean cloth and allow it to set. Once it’s set, gently sand, applying just enough pressure to sand the scratch smooth. Want a really simple trick for scratched white tiles? Fill the scratch with a little toothpaste (use the paste not the gel) and you have any instant fix. To repair , you’ll first want to wipe down the area around the scratch with a damp cloth or even a damp paper towel. Allow the area to dry completely. Next, using masking tape, mask the area directly around the scratch to keep the other areas protected during this process. Apply a small amount of wood putty to the scratch following the manufacturer’s directions, and rub away any excess using a damp paper towel. Allow the putty to completely dry before sanding with a fine-grit paper or sanding block until the surface of the area is smooth. Remove the tape from the surrounding area and apply a thin coat of polyurethane sealer to the filled scratch and immediate area using a foam brush. Once the sealer has dried completely, you can walk on your floor again. 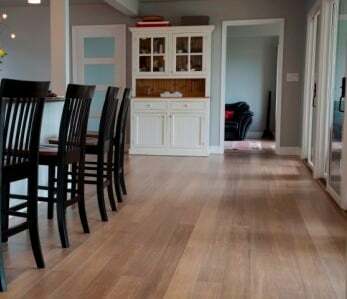 These DIY fixes don’t take much time and cost little money, and they keep your floors looking as great as the day they were installed.